SCVHistory.com | People | Recollecting My Neighbor, Tex Williams. Recollecting My Neighbor, Tex Williams. Charlie was in cowboy heaven when the Country-Western star moved to Maple Street. Tex Williams' gravely voice was scary to little Taylor Rasmussen. Photo: Aug. 23, 1984. Click image to enlarge. Charlie and I were just newlyweds when we moved into our home on Maple Street. The three-bedroom, two-bath, 20-year-old home was perfect for my fixer-upper husband, and we were happy to settle in and start a family. Homes in Happy Valley were built on big lots. Many of our neighbors had been there for years. They all seemed much older than us, but we got to know our neighbors quickly as they were all friendly and anxious to welcome the new kids on the block. Across the street, Charlie met two guys with whom he would spend a lot of time. One was Marty Fischer, a retiree who worked on old cars  a passion of my husband. 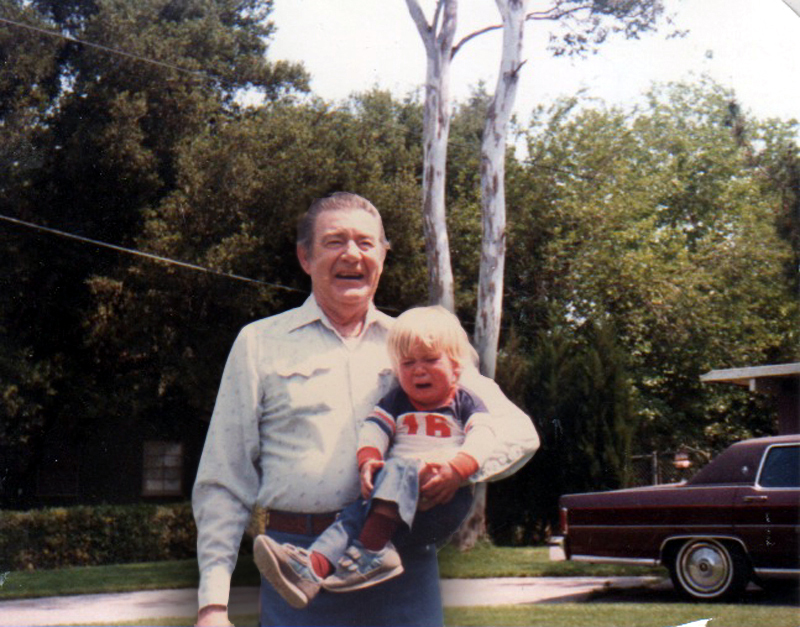 Marty had a restored Pierce Arrow that was his pride and joy. Next door to Marty was a family we would grow very close to: Tex and Dallas Williams and their daughter, Sandi, who was just a few years younger than me. Tex and Dallas moved into their Newhall home when their house in Bel Air burned down. It had quite the 1960s "Rat Pack" kind of charm  low roof, lots of window. 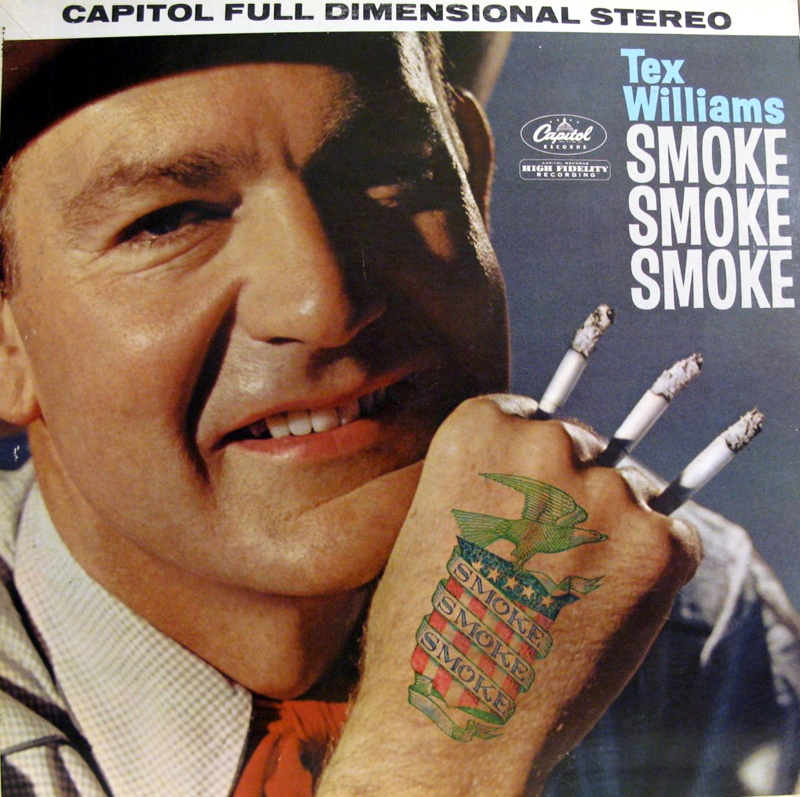 Williams' biggest hit was "Smoke! Smoke! Smoke! (That Cigarette)," which he co-wrote with Merle Travis and recorded in 1947. It topped the Billboard charts for six weeks. Click image to enlarge. Not being a huge Country Western fan, I hadn't heard many of Tex's hits, but Charlie was in cowboy heaven. Many evenings, he would wander over to Williams' home and spend hours listening to stories and have a drink with Tex. Both Tex and Charlie were Jack Daniels aficionados. There were times I had to call and ask Dallas to send Charlie home. I still remember their phone number to this day. Our family grew quickly on Maple Street. When our third son was born on Tex's birthday, I remember both Tex and Dallas thinking that "Tex Rasmussen" would be a heck of a name ... we named him Taylor. We took a photograph of Taylor and Tex on their birthday and Taylor cried the whole time. I think Tex's gravely voice scared him. Tex Williams in 1967. Click image to enlarge. Many memorable moments were spent with this most gracious gentleman. Tex and his band sang at Charlie's thirtieth birthday party that was held in our backyard. We met some great characters at their home, such as Cliffie Stone and Nudie the tailor, who was riding high on the Country Western fashion scene. because he parked his big, old Cadillac in the middle of the driveway. Nudie's car wasn't easy to miss. He had these big bull horns attached to the front hood. We lived across the street from Tex and Dallas for twelve years. My young sons would occasionally wander across the street  it wasn't a busy street then  and Tex would be there to keep an eye on them. When their daughter, Sandi, got married in the backyard, we walked across the street to congratulate the bride. 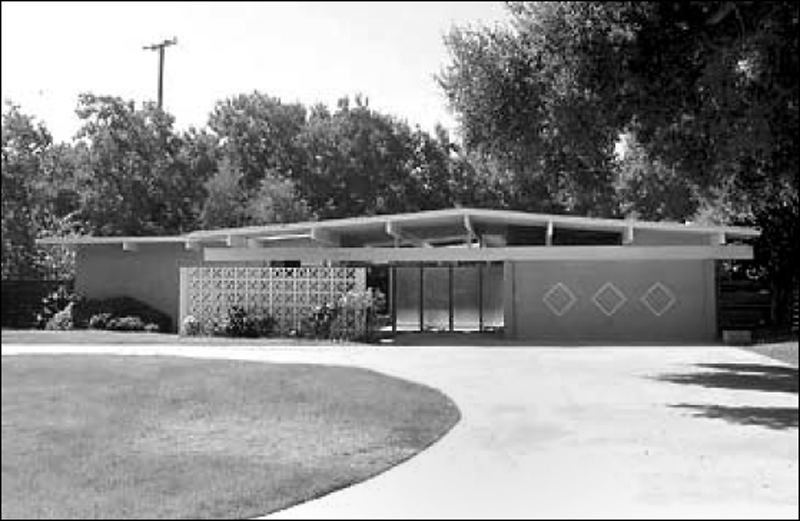 In 2005, the city of Santa Clarita granted a "remodeling" permit to the owners of the Tex Williams house (shown) at 23416 Maple Street, not knowing they would remodel it to the foundation. The owners built a brand-new, 4,914-square-foot house on the property and sold it in 2009 for $720,000. Click image to enlarge. Then Tex got sick with cancer. It was hard for us to watch this tall, strapping man wither away. As he lay in the hospital in downtown Newhall, Charlie and I would go and visit him. He was always positive and happy to see us. Shortly after Tex died, we decided we had outgrown our little house and moved just a mile or so away. We always kept in touch with Sandi and her mom until Dallas' death a few years ago. We were sorry to see Sandi sell the house and move out of state. But we were beside ourselves when we realized the new owners razed the house to its foundation. I don't know who these new homeowners are, but I am pretty sure they didn't have a clue as to the history of the man who built it. 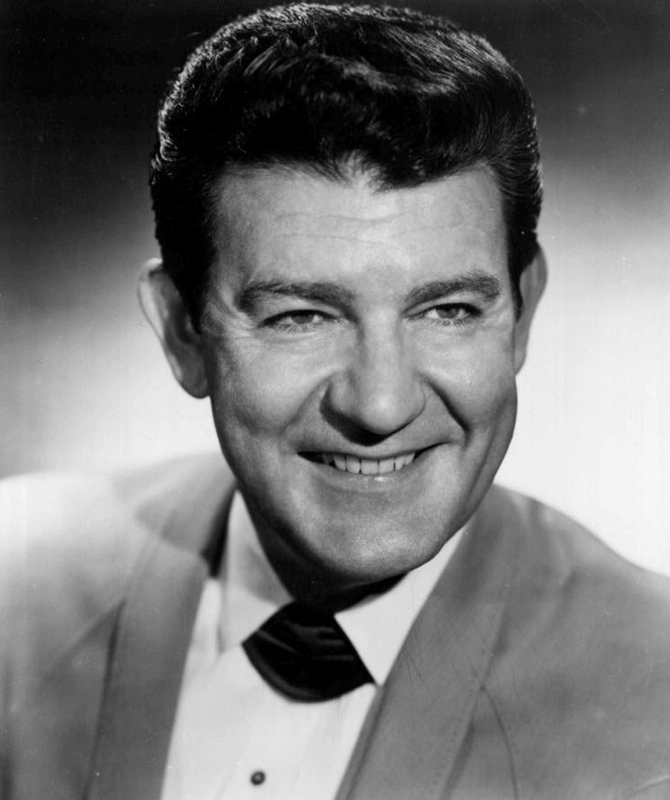 Tex Williams owned a honky-tonk on San Fernando Road and has a plaque on the Walk of Western Stars. The walls of that home on Maple Street were once adorned with many gold records. He was a generous entertainer who gave back to the community he called home. Now that little part of Newhall history is gone. Sandi once told me her employer, Milt Diamond, who owned the Newhall General Store, used to voice his concerns about the loss of many of the old buildings as the town grew. The General Store is long gone. Now the Tex Williams home is gone, and there are many other historic buildings that need to be identified. Time keeps on ticking. The Santa Clarita Valley Historical Society has been active for more than thirty years. They are a hardworking bunch of volunteers who give hours to save and archive the history of our community. They are passionate about their mission, and it is time to give them a seat at the table. Tex was a great neighbor. Let's hope he leaves us not only with a great legacy, but also with a lesson on losing a part of our history  which shouldn't be repeated.